From concept to launch, we can dedicate an entire team to brainstorming, planning and producing your e-business strategy. Drawing on many unique perspectives allows us to create not only a variety of solutions, but find the solution that best suits your needs. With over 65 combined years of experience in web development, computer, and design fields Saco Design has a wealth of knowledge and wisdom to complete your project the right way. 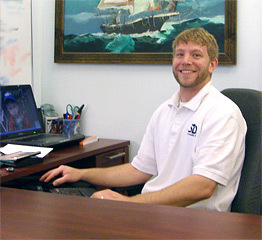 Kevin started Saco Design in 2002, but has been programming professional websites for even longer. 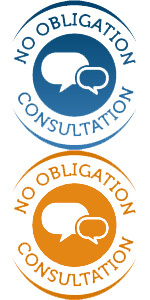 His 20+ years of experience contribute heavily to the ongoing success of Saco Design. He has worked in web design in multiple capacities, basically from entry-level up. As the founder, owner, and lead programmer Kevin takes a personal, hands on approach to everything that happens at Saco Design. Kent comes to Saco Design with a diverse background in both education and design. He has a bachelor’s degree in Elementary Education from the University of Maine at Farmington and a master’s degree in Landscape Architecture from Kansas State University. At KSU, Kent learned about the fundamentals of good design. He uses his design expertise to layout and design sites that are aesthetically pleasing and easy to navigate. A graduate of DeVry with a Bachelor of Science in IT with a focus on web applications, David started working with Saco Design in 2015. He has a long history of web development, having worked for various outfits including TRIO Software. David is comfortable working on either the back end of the site or the front end, and has established a track record of successfully meeting the needs of our clients. Jon teams up with Saco Design, as a web developer and graphic designer. 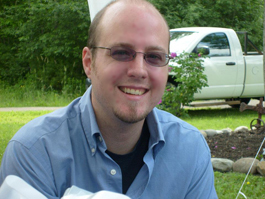 He has an AAS in Digital Graphic Design, from Eastern Maine Community College. He is also a recent graduate from New England School of Communications (NESCom) at Husson University, where he attained a BS in Communications Technology for WebMedia. During his time at NESCom, Jon also pursued his interests in video production and radio broadcasting, producing several award-winning radio promotions. As a detail-oriented artist and programmer, Jon is proud to lend his many talents to our varied clients and in-house projects.